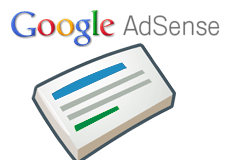 A WebmasterWorld thread has a nine-year old AdSense publisher claiming he was penalized by Google AdSense for user generated content and without proper notification. He explained that his site gets spammed and he removes the spam but due to email issues, he missed a 3-day window notification to remove the spam. After a couple of warnings and responses back and forth, without warning, according to the publisher, Google disabled his AdSense ads from serving. Google just directly disabled serving ads on my website without prior alert! I've been a good citizen for more than 9 years, never had any problem, never attempted anything even remotely unethical. Adsense earnings has been my main income for years (I kind of regret that now), I'm not stupid to jeopardize it, and I'm not going to do that any time soon! Either this publisher isn't telling the full story or Google needs to get their act together. Which is it?